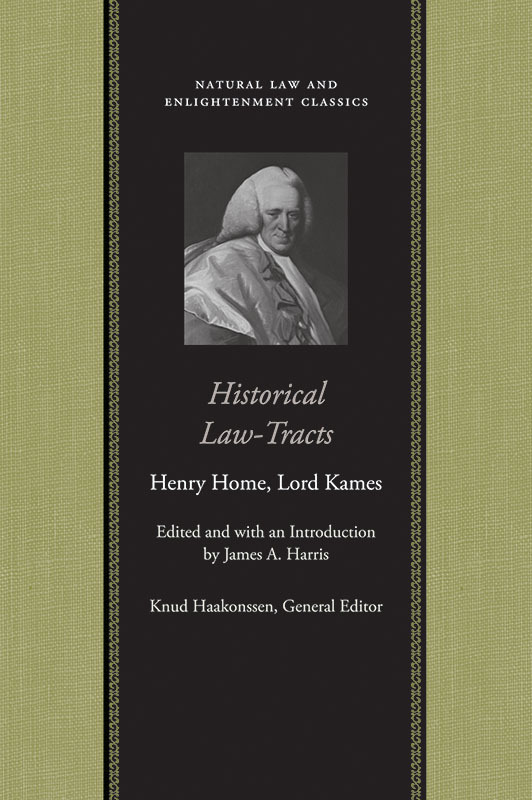 In Historical Law-Tracts, Kames combined the natural law framework that underlies his Essays on the Principles of Morality and Natural Religion with the “conjectural,” or philosophical, approach to history that would receive its fullest treatment in his Sketches of the History of Man to offer a history of law as a history of the progress of mankind from savage to civil society. The Liberty Fund edition supplements Kames’s original text with a new introduction providing historical context and biographical information, expansion of Kames’s footnotes to explain the often rather obscure system of reference used in the book, translation of the Latin passages, and explanatory annotations relating to important changes that Kames made to the text, including variant readings from earlier editions. James A. Harris is Professor of the History of Philosophy at the University of St. Andrews, Scotland. He is the author of Hume: An Intellectual Biography and Of Liberty and Necessity: The Free Will Debate in Eighteenth-Century British Philosophy. He is the editor of the Liberty Fund edition of Kames’s Sketches of the History of Man. Editor's introduction, editorial principles, glossary of legal terminology, bibliography, index.